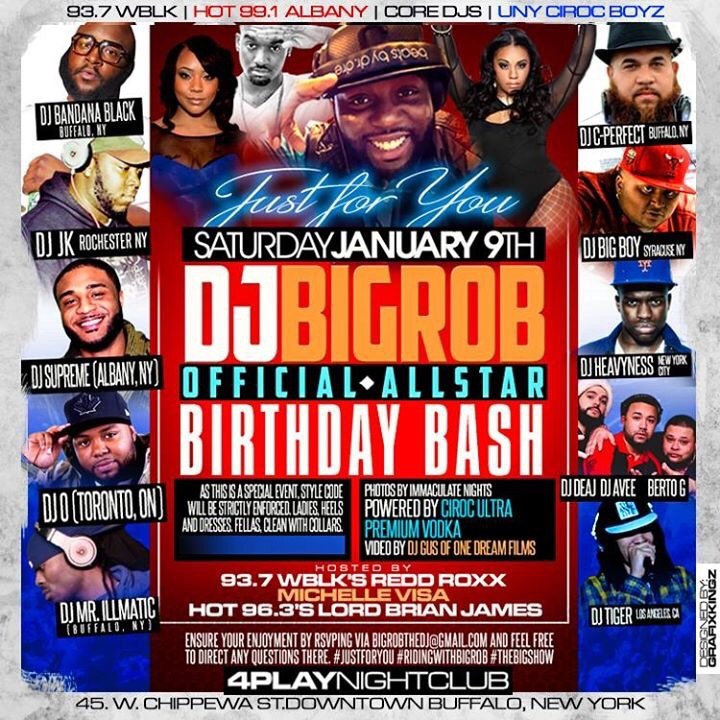 Around BuffaLowe: @bigrobthedj’s Official 30th Birthday Bash! – 4Play Nite Club [1.9.16] – Be Fearless. Be Flagrant. DJ Big Rob wants to say thank you to everyone near and far for the birthday love he received on 12/30 and you are all invited to his official Birthday Bash this Saturday, January 9th, 2016!!! My LA Potna DJ Tiger will be spinning! Cop the Federal Agents tee Big Rob is rocking at http://www.BuffaLowe.us!